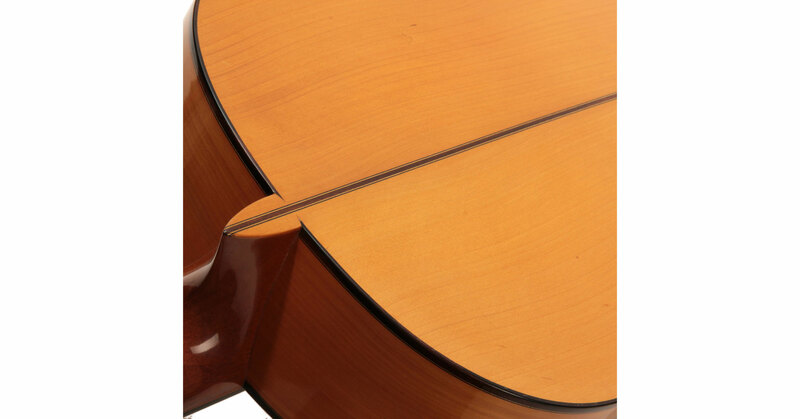 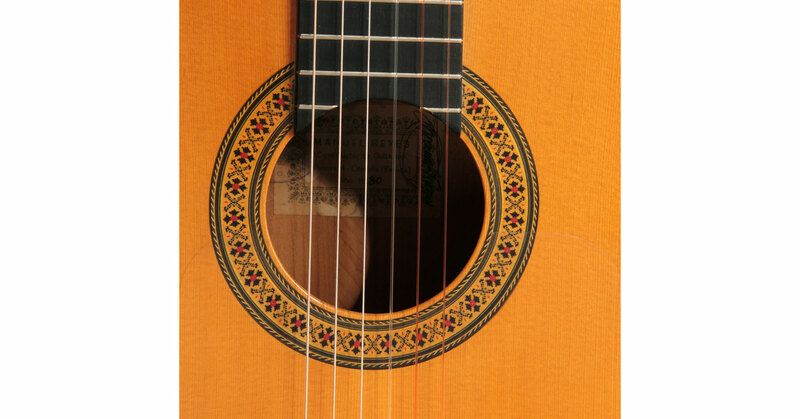 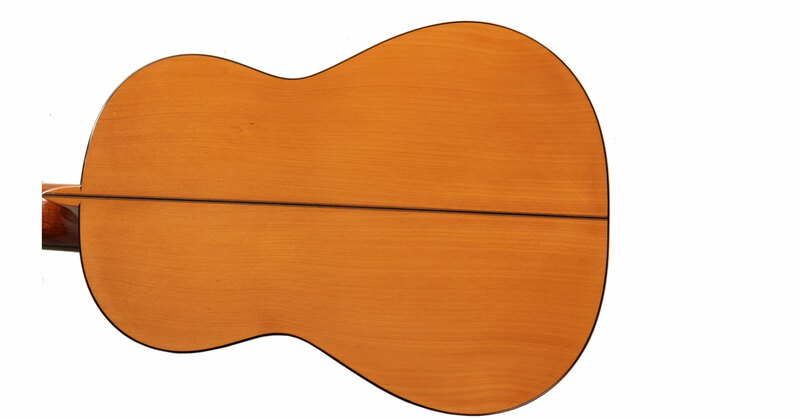 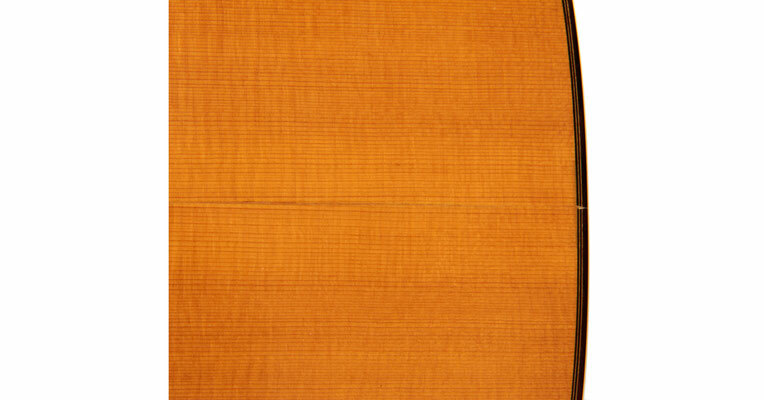 The condition of the 1980 Manuel Reyes guitar is original. 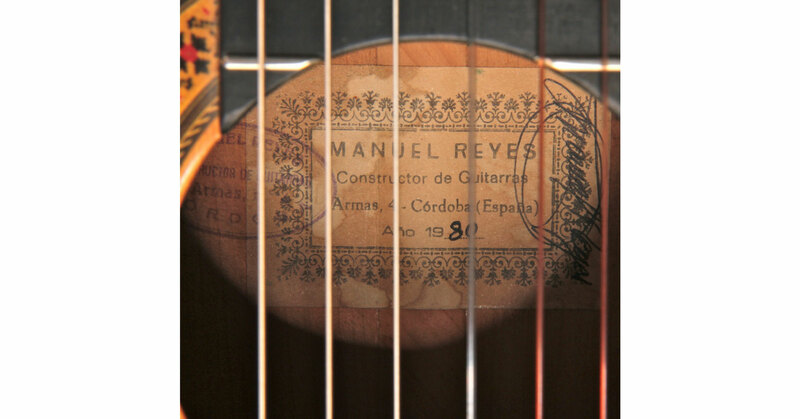 Reyes Senior glued the center joint behind the bridge while building the guitar. 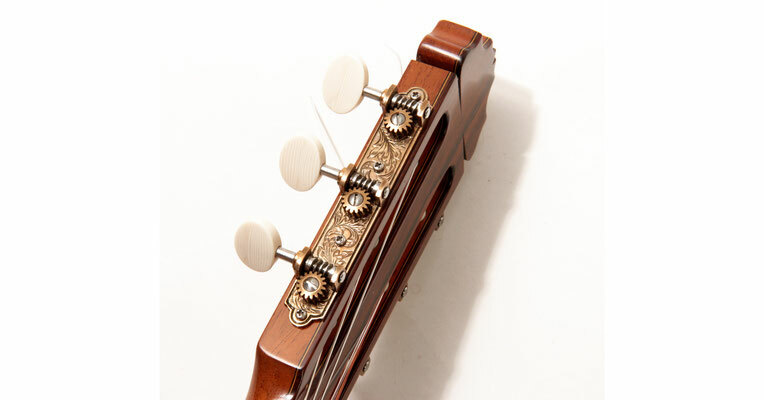 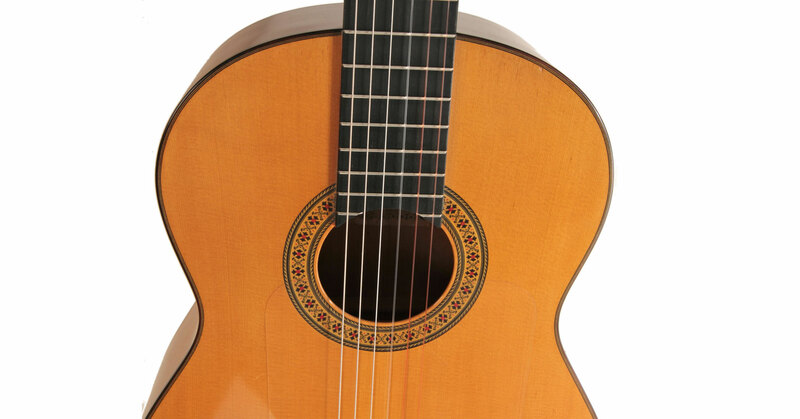 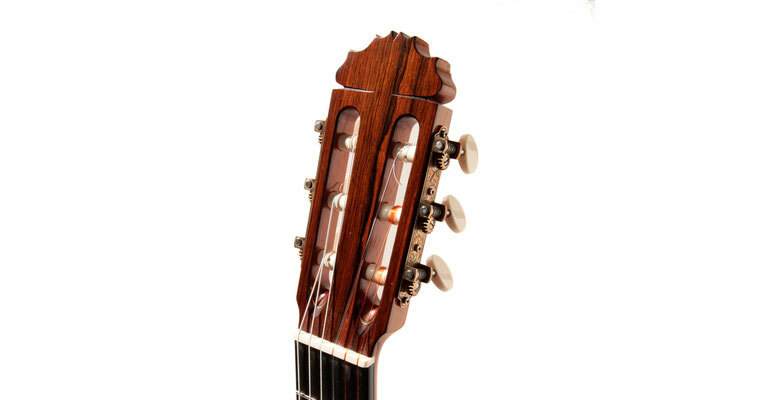 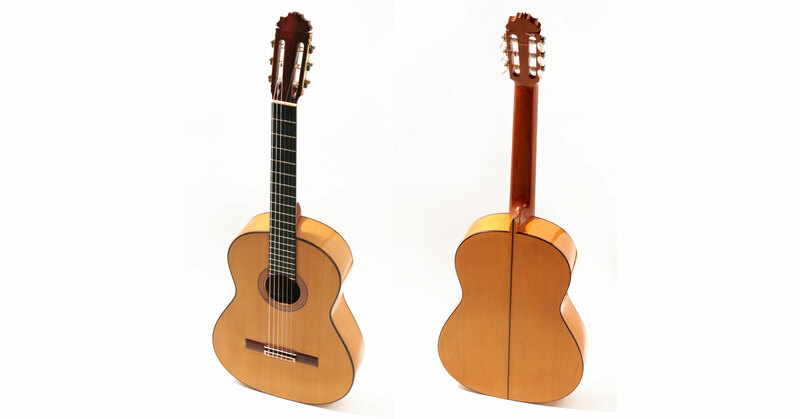 Der Zustand dieser 1980 Manuel Reyes Gitarre ist original. 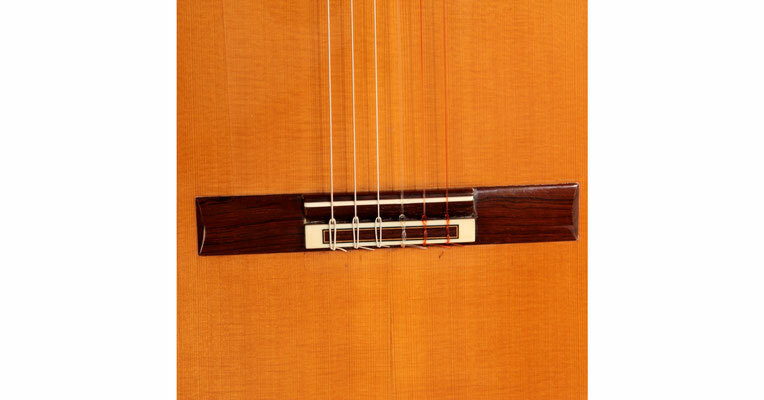 Reyes Senior leimte die Mittelfuge hinterm Steg noch während der Bauphase.